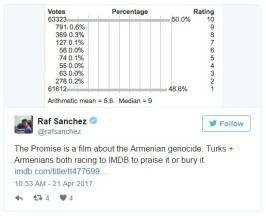 What they didn’t expect was tens of thousands of negative reviews from people claiming to have seen the film – before it was even released. “This a lesson that you don’t f*** with Turks. We’ll kick your a****! This is just a start,” wrote one user. Mike Medavoy, producer of The Promise, said those complaining about the film should “move on” and accept historical fact. Mr Medavoy, who as vice president of production for Universal was responsible for films such as Rocky, Terminator and One Flew Over the Cuckoo’s Nest, said he did not anticipate so strong a backlash against this film. The 67-year-old producer, whose films with his own company include Black Swan, Shutter Island and The Thin Red Line, said he was not aware of the sensitivities before he embarked on the film, but “knew there would be some issues” when the film team came to him with the idea. “If they did, they’d have gotten to the wrong guy,” he said. 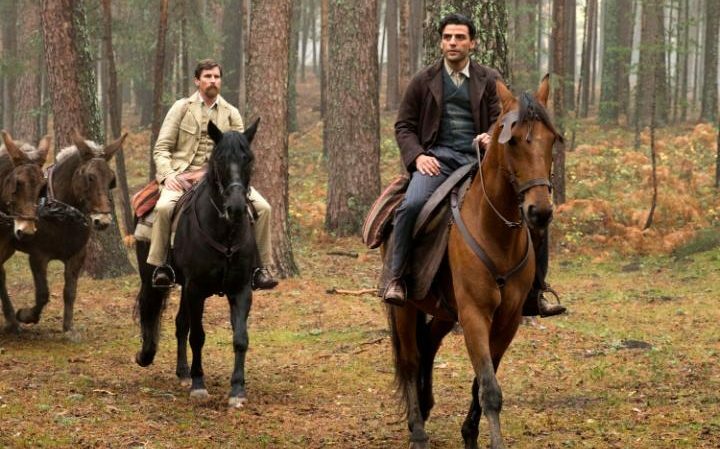 Mr George, the director of The Promise, called The Ottoman Lieutenant “an alternative fact-type smokescreen”.